The laser tail light is made of ABS material. 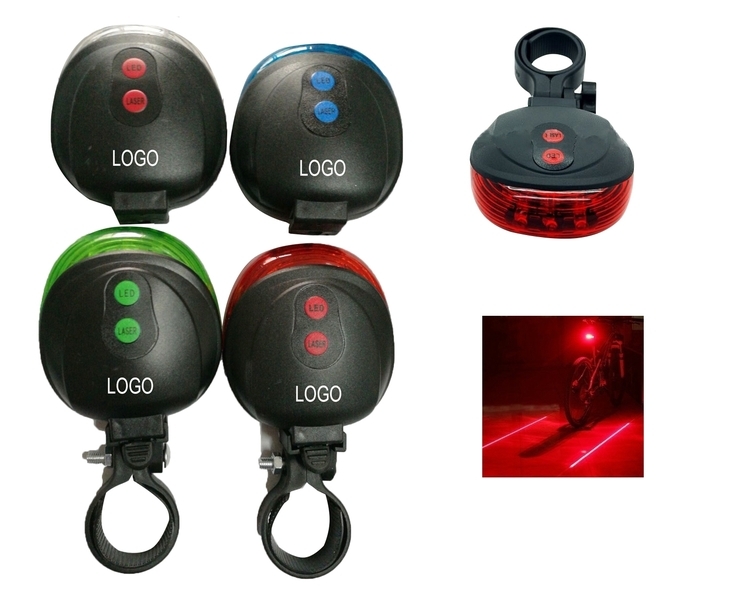 Features 5 LED light and keeps you safe during nighttime cycling or in the dark. It also comes with two lasers that shoot to the ground and provide two guiding lines as boundary indicators. 7 Flash modes: Always bright, fast flash, slow flash, left to right and right to left fast flash, left to right and right to left slow flash. Press the laser button for 2 laser modes. 3 1/8"L× 2 3/4"W.